` How Could The Spread Of ISIS Impact World Markets? How Could The Spread Of ISIS Impact World Markets? Have You Checked Your 401K Lately? 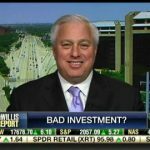 Are Target Date Mutual Funds A Bad Investment? If the rise of ISIS and instability in the Middle East concerns the world’s financial markets they have not shown it yet. The DOW continues to set records, and the good times are rolling on Wall Street. 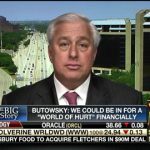 Ed Butowsky, wealth manager, financial advisor, and managing partner of Chapwood Investment Management, discusses how you can protect yourself and your family’s 401k from these and other world wide current events.